Depending on the version of OSX you are using you may encounter one of three issues during installation. 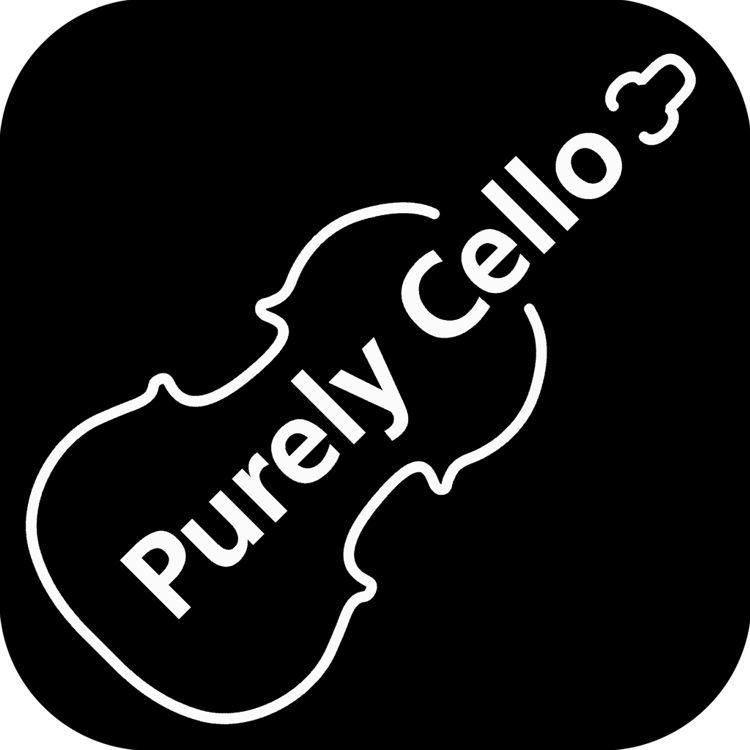 Tip: most issues are resolved by Right Clicking and choosing > Open on the 'Install Purely Cello' file. One way to right click on a Mac is to press the Ctrl (or Control) key when you tap the mouse button, or the trackpad. Do not confuse the Ctrl key with the Alt (or Option) key. The Ctrl key on a Mac is not the one next to the space bar, it’s at the far end of the keyboard, on either the right or left side, normally. If you get an error relating to the source of the download as unknown or from the internet it is safe to click Open, providing you downloaded the software from this website and not a different site. If you get an error stating the download is damaged or can't be opened you need to update your security preferences. Sometimes the message will say "Unidentified developer", the solution is the same. Go to Preferences > Security & Privacy, click "Anywhere" on an older mac or "Mac App Store and identified developers" on newer macs where the anywhere option is missing. 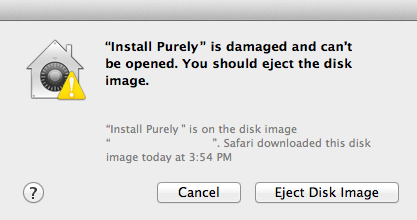 Then open the Purely Cello installer once again. If when you launch the app the icon does not respond or simply bounces up and down, browse back to Preferences > Security & Privacy, at the bottom you will see a message similar to that below. 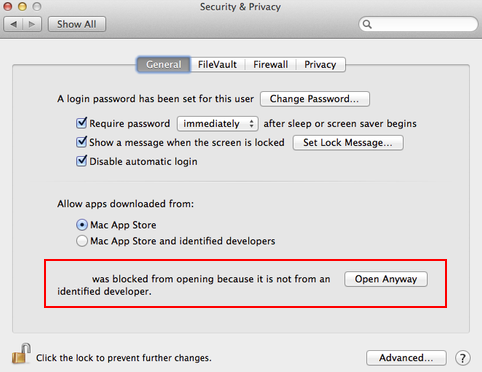 This is a newer security feature added in to the latest version of OS X. Click Open Anyway, providing you downloaded the software from this website and not a different site. If you encounter another issue please contact us.